Re-introducing affordable (nearly indestructible) bar and flip phones with new and improved capabilities. Our phones have everything you need and nothing you don't. 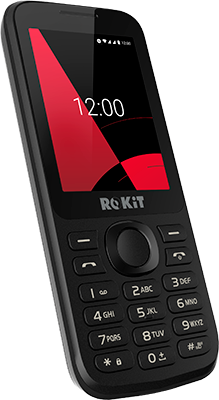 All ROKiT Feature phones include free ROK Talk, with WiFi calling, WhatsApp, Facebook, and ROK Launch Control, your personal control center for ROK Services. 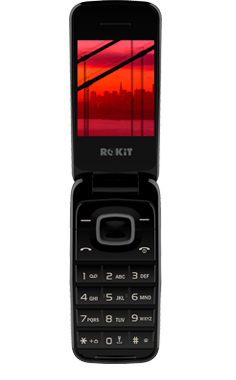 ROKiT Feature phones are unlocked GSM devices. They can be used domestically and internationally without swapping SIM cards, thanks to Dual-SIM card support. Our Feature phones offer SD cards expandable up to 32 GB. Long-lasting batteries mean you'll be able to, with our Feature phones. 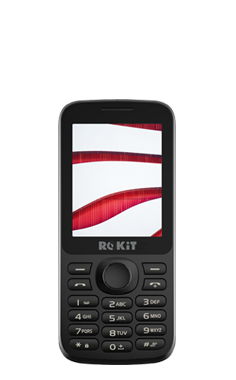 The ROKiT One and F-One are 3G and WiFi enabled, and ROK Talk enabled, so you can talk or text whenever, wherever.